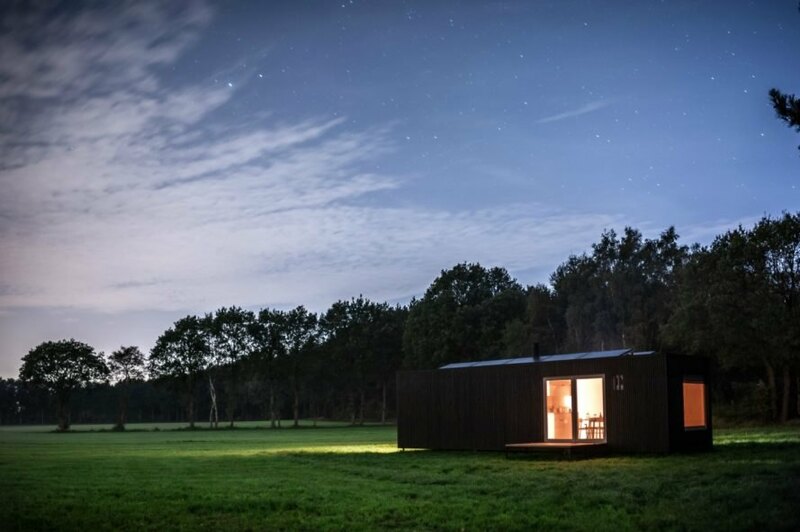 We’ve seen lots of tiny house rentals that offer the chance to get away from it all – but this new service adds a touch of mystery to the experience. 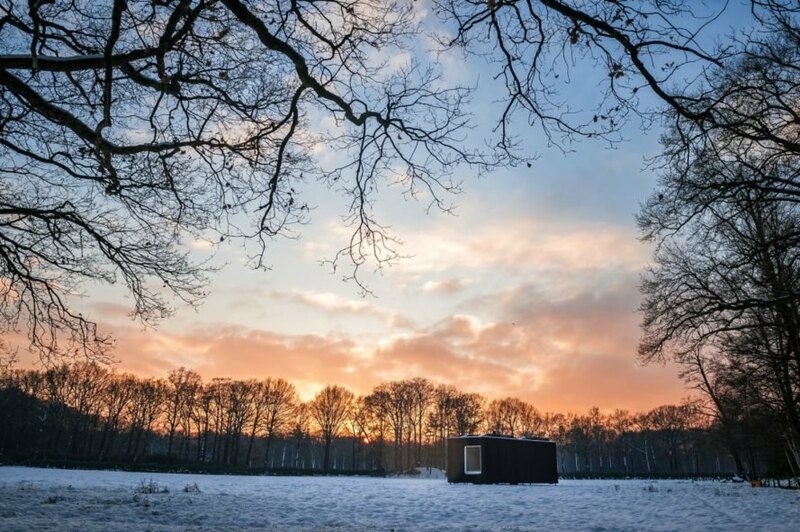 Slow Cabins rents tiny houses set in idyllic locations across Belgium, with one catch–their locations are only revealed after the reservation is made. By keeping the location of the rental a mystery, the company removes all of the stress when it comes to planning relaxing, off-grid getaways. Slow Cabins is the brainchild of entrepreneur Xavier Leclair. 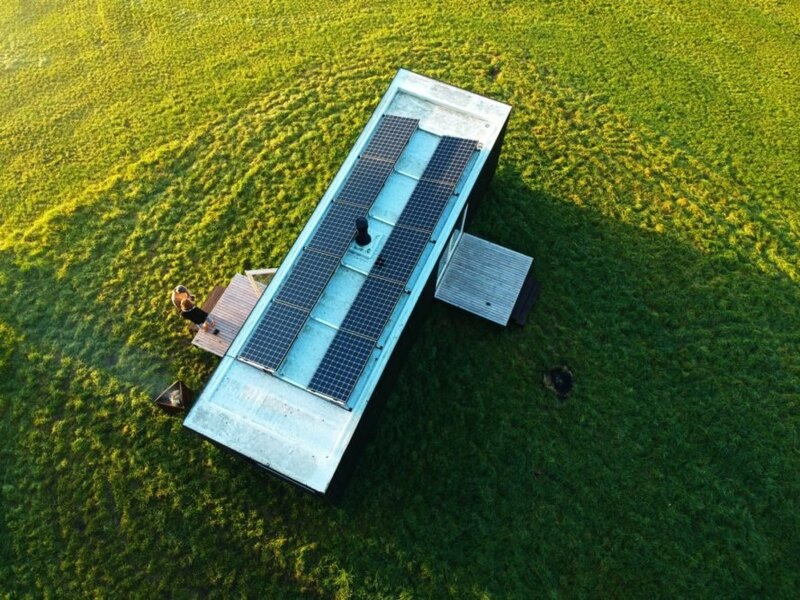 The service offers solar-powered wooden cabins with built-in rainwater collection and filtration systems, as well as dry toilets. The cabins come in two sizes: one size for couples and a family size that sleeps up to five people. Regardless of model, the cabins are designed to provide a healthy atmosphere built with a small deck to enjoy the natural surroundings. The interiors have been left as “raw” as possible. 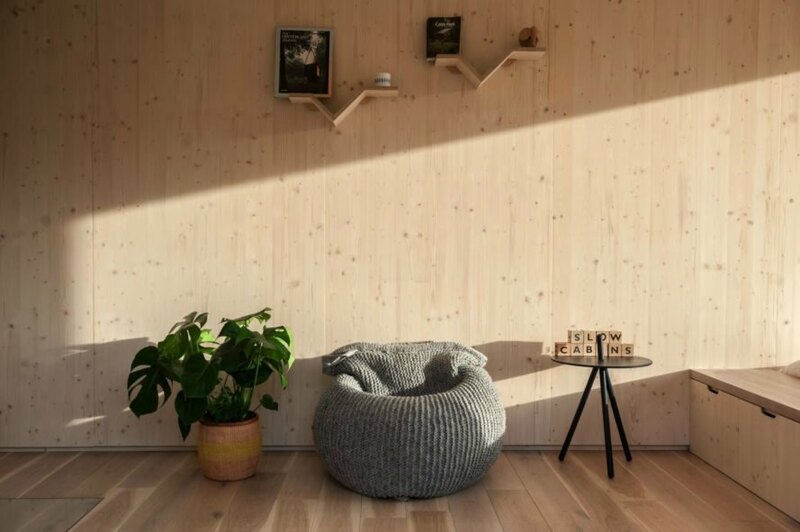 Wooden floors and walls keep the cabins rustic, and blonde wooden furniture provides a minimalist, Scandinavian feel. The furnishings are simple, with a wood-burning stove to keep guests warm during the chilly nights. Renters looking for a relaxing getaway have no absolutely no say in the location, but are guaranteed a complete, off-grid, back-to-nature vacation in a truly picturesque setting. 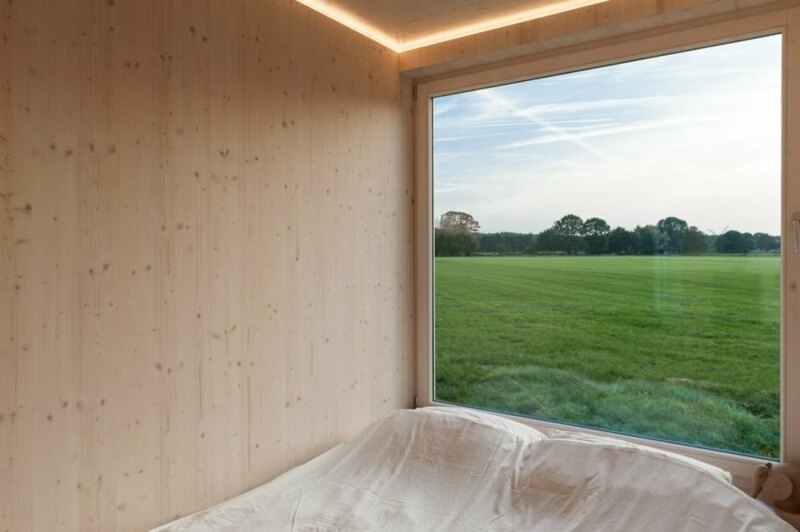 The cabins have no WiFi or TV; instead, they feature large insulated windows that let the renters enjoy views of the idyllic fields and forest landscape. 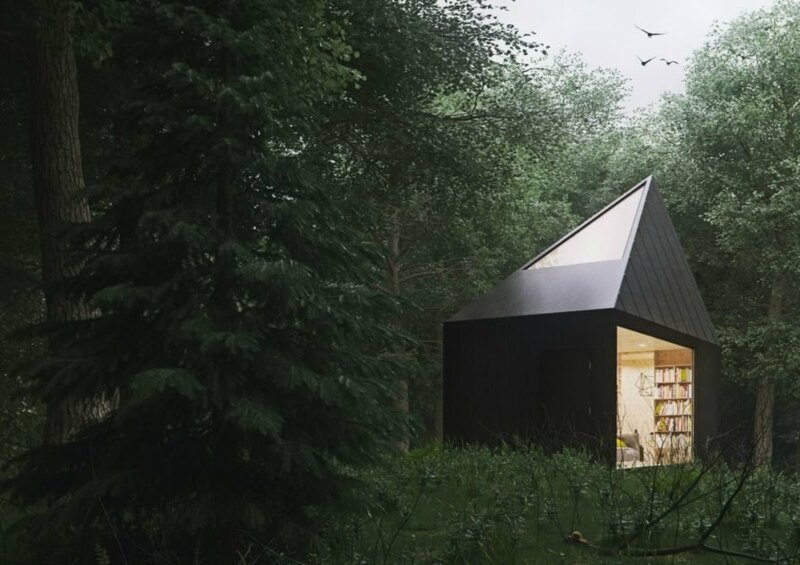 We've heard of tiny house rentals that are designed to help renters get away from it all, but a new service is adding a touch of mystery to the experience. 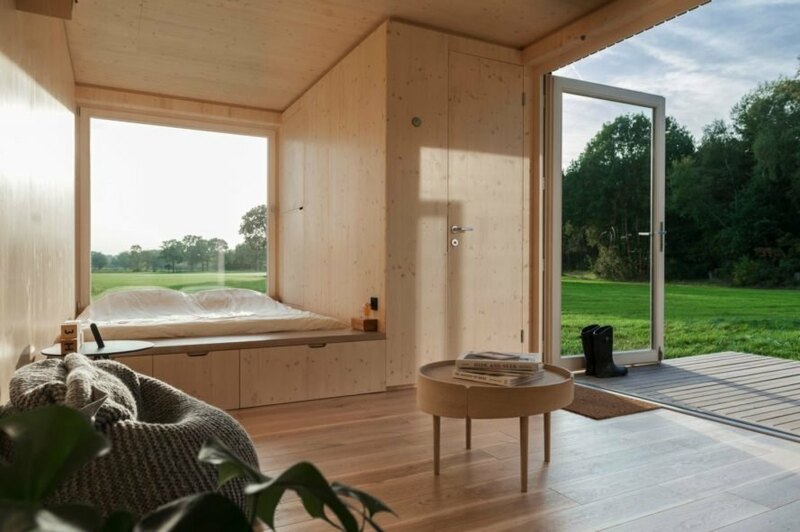 Slow Cabins is a Belgium-based company that rents tiny cabins that are set in idyllic locations across the country, with one catch--their locations are only revealed after the reservation is made. By keeping the location of the rental a mystery, the company removes all of the stress when it comes to planning relaxing, off-grid getaways. 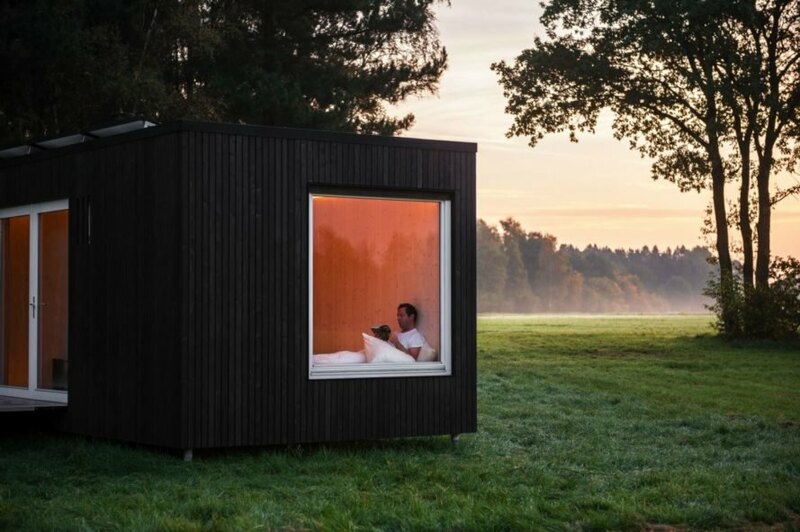 Slow Cabins is the brainchild of entrepreneur Xavier Leclair. The interiors of the wooden cabins are clean and airy. The cabins come in two sizes: one size for couples and a family size that sleeps up to five people. Regardless of model, the cabins are designed to provide a healthy atmosphere built with a small deck to enjoy the natural surroundings. Renters looking for a relaxing getaway have no absolutely no say in the location, but are guaranteed a complete, off-grid, back-to-nature getaway in a truly picturesque setting. Inside, the interiors have been left as "raw" as possible. 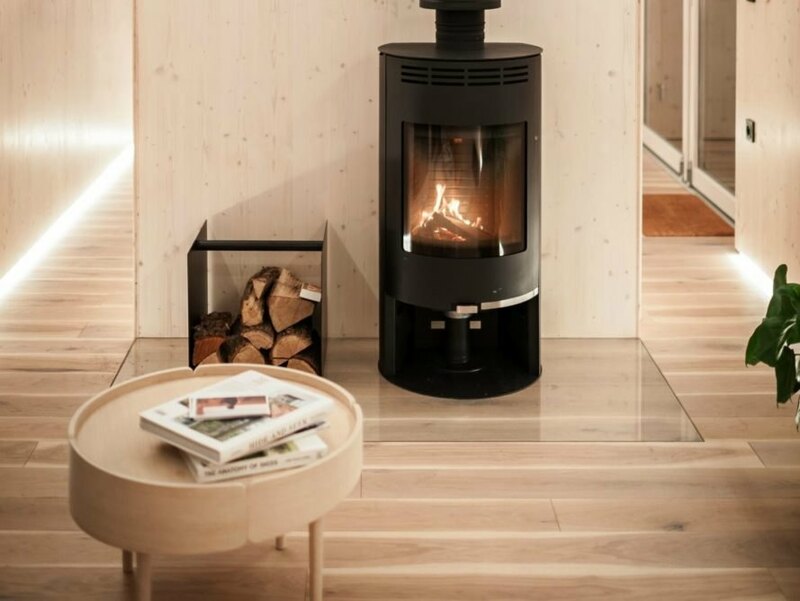 Wooden floors and walls keep the cabins rustic, and blonde wooden furniture provides a minimalist Scandinavian feel. 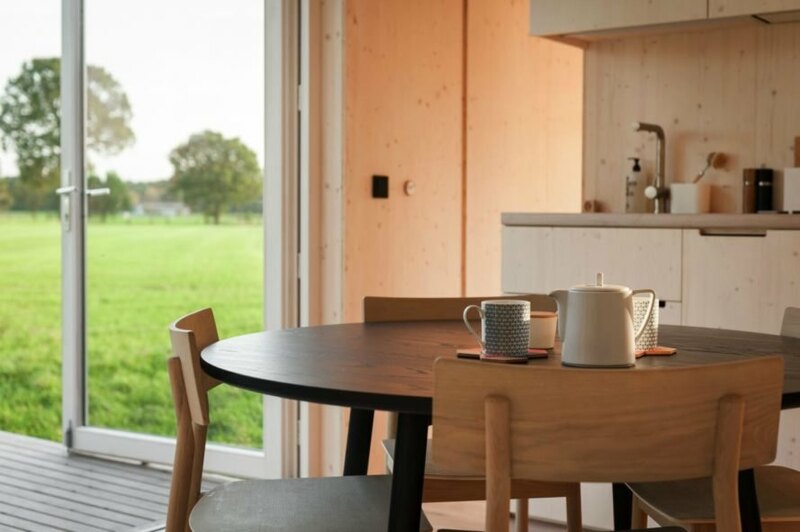 The cabins have no WiFi or TV; instead, they feature large insulated windows that let the renters enjoy views of the idyllic fields and forest landscape. The cabins are designed to let people enjoy the surrounding environment without any distractions. The cabins are equipped with all of the basics. The cabins are solar powered and have many other eco-friendly features. Each cabin's location is completely secret until the reservation is made. We've seen lots of tiny house rentals that offer the chance to get away from it all - but this new service adds a touch of mystery to the experience. 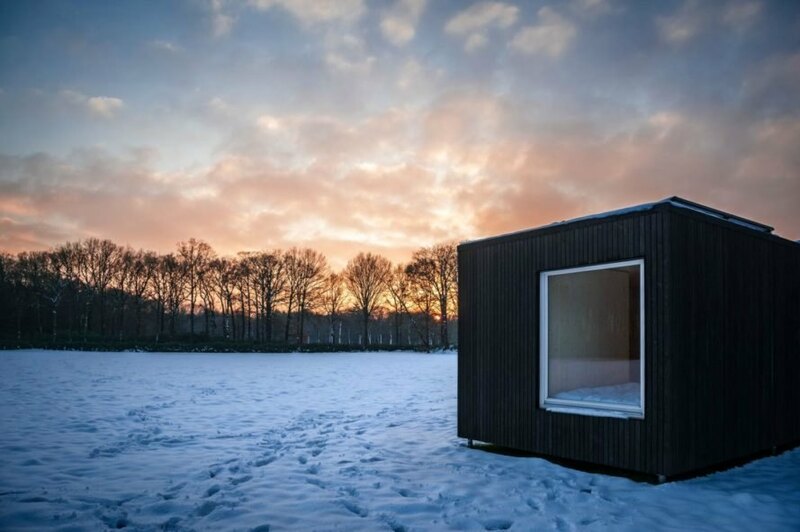 Slow Cabins rents tiny houses set in idyllic locations across Belgium, with one catch--their locations are only revealed after the reservation is made. By keeping the location of the rental a mystery, the company removes all of the stress when it comes to planning relaxing, off-grid getaways.